Finally, we have some evolution happening in hoverboard design!!! Koowheel K5 hoverbord (or Levit8ion ULTRA, both share the same modular design and features) with 7.5″ wheels and replaceable battery pushes hoverbord design to new grounds. New look is not just for the eye of the beholder, it is very practical too. The design is based upon three-sections with central section containing replaceable and removable Samsung battery and two side sections containing electronics, motors and wheels (look at the pics below). Also, central section has carrying handle with digital display and smart LED light. The battery is placed in central section of Koowheel K5/Levit8ion ULTRA for better stability of the hoverboard because this way both sides have the same weight, unlike other hoverboards where one side is heavier due to battery being placed in one of the wheel wells. 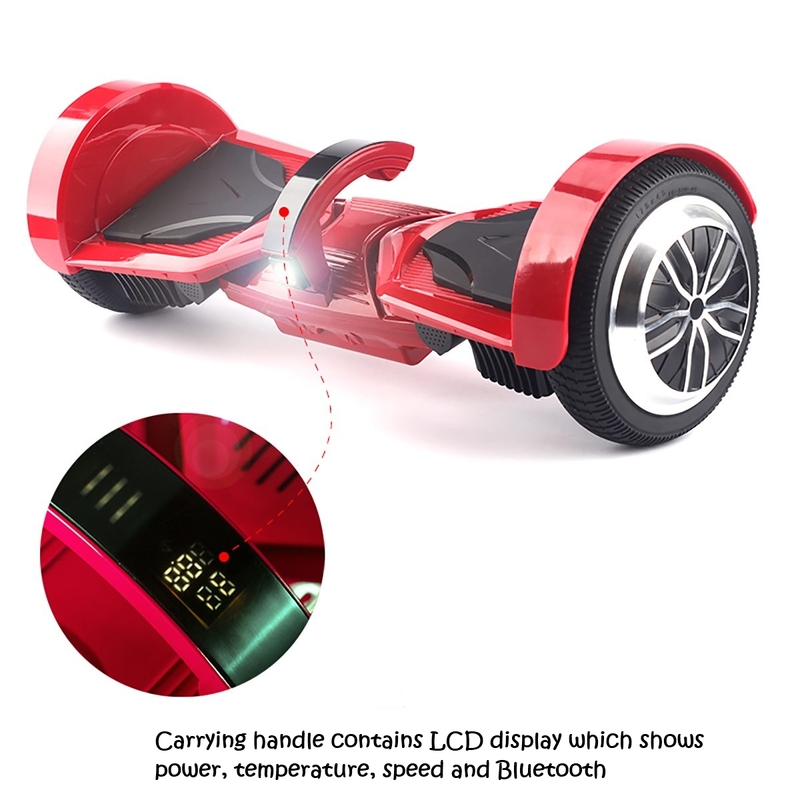 Beside revolutionized design, centrally placed replaceable Li-ion battery and built-in carrying handle with smart display Koowheel K5/Levit8ion ULTRA hoverboard has more unique and exiting features unavailable at other hoverboards on the market. The modular structure of this hoverboard gives extra stability making it stable even in off mode thus being safe for children. Beside 7.5″ wheels another big difference at Koowheel K5/Levit8ion ULTRA are gyro sensors where the rubber gyro sensors that fail often are replaced with gravity sensors for improved motion detection. More features you can find bellow.